Matej Hocevar is a guy I often refer to as the World’s Most Interesting Man. Whether it’s speaking multiple languages, traveling the world, or simply his curiosity and zest for life, he’s a guy I feel honored to call a good friend. 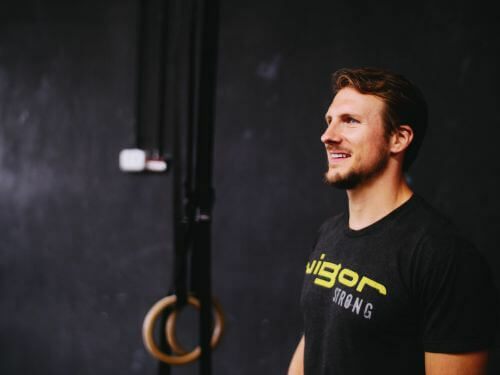 Matej is also the owner of Vigor Move and Live in Ljubljana, Slovenia and is currently going back to school to get his Masters Degree at St. Mary’s. In this show, Matej and I talk about how an environmental science major became a fitness business owner, why he’s a big believer in micro-dosing information with athletes, his KPI’s for soccer players, and why he uses a heuristic approach to improve decision making. Should you adjust how you train when you get older? How an environment science major ended up owning a fitness business and training athletes. Heuristics: What they are, and why you should consider using them with your clients/athletes. The key performance indicators (KPI’s) that Matej uses with his soccer players to make sure they stay fit and on the pitch. How his ability to speak multiple languages has impacted his ability to communicate with athletes, parents and agents. Our always popular lightning round where we talk world travel (and his favorite destinations), the most impactful book he’s read in the past year, why he went back to get a Master’s Degree, and what’s next for Matej Hocevar. If you like the show, please rate and review it on iTunes. Thank you!! Thanks for the information on older athletes. I am 67. I have found that I can handle intensity pretty good. Must keep volume and frequency low. I like what what you said about auto regulation. That is key. Thanks again for what you give us.